One of the most legendary behind the scenes moments in filmmaking history comes courtesy of Pixar, the beloved animation company that has brought us such greats as Toy Story, The Incredibles, Wall-E, Inside Out, amongst many other classics. In 1994, at the Hidden City Cafe, four of Pixar’s key creative heads came together to map out what to do after their first full-length animated film, Toy Story, hit theaters. That lunch meeting included director John Lasseter, and writers Andrew Stanton, Pete Docter, and Joe Ranft. In one sitting, the four Pixar creatives brainstormed ideas and characters that would eventually make it into 1998’s A Bug’s Life, 2001’s Monsters, Inc., 2003’s Finding Nemo, and 2008’s Wall-E. Now that’s talent! These likely aren’t the original napkin sketches, as this is part of a recreation (though I’d love to be proven wrong), it’s been noted that the four filmmakers created rough outlines of the characters on top of table napkins in the Hidden City Cafe. That lunch break spawned what would become the golden age of Pixar films, and the 4 films alone grossed over $1 billion. 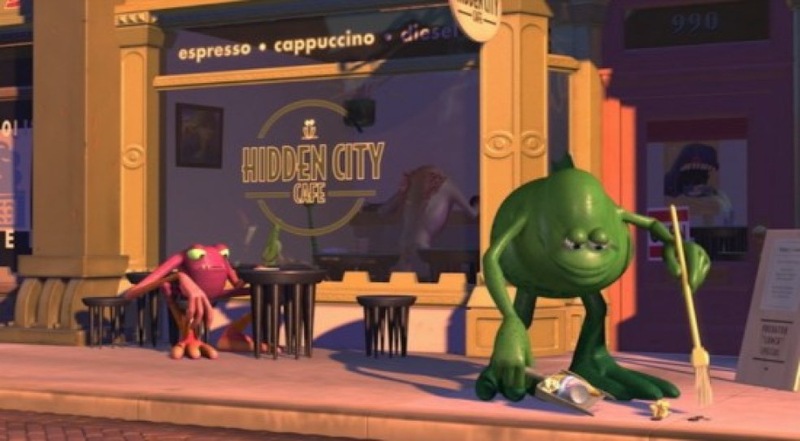 What’s more, the Hidden City Cafe, where this famed lunch took place, features as easter eggs in some of Pixar’s films, including on the license plate of a car in Toy Story 2 that reads “HDNCTY,” as well as a background restaurant in Monsters, Inc. Though the diner is now sadly closed, it was even featured in this teaser for Wall-E, where this particular Pixar legend was introduced to the general audience. What did you think of this Geek Fact? If you liked it, stay tuned for more just like it, and share this post with others! And be sure to check out some of our other Geek Facts! If you know of any other geeky facts you’d like me to cover, let me know in the comments below. I love this blog! 4 people? 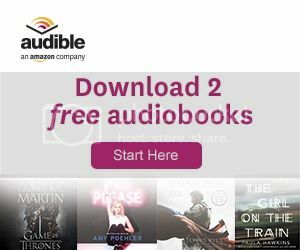 If you love movies, come check out my reviews. Pixar movies are, by far, some of my most favorite films. The dedication to the story and characters is better than moat live action movies and you can’t help but be attached to at least one by the end of the film. Their character design and voice selection is top notch! I can watch their films over and over, but am a little nervous about their desire to continue making sequels to films that have stood on their own. Time will tell if this is a good move or not. This is exciting. 4 guys brainstorming over a lunch break and resulting in films that wee so beloved and also grossed over $ 1 bn. Wow!